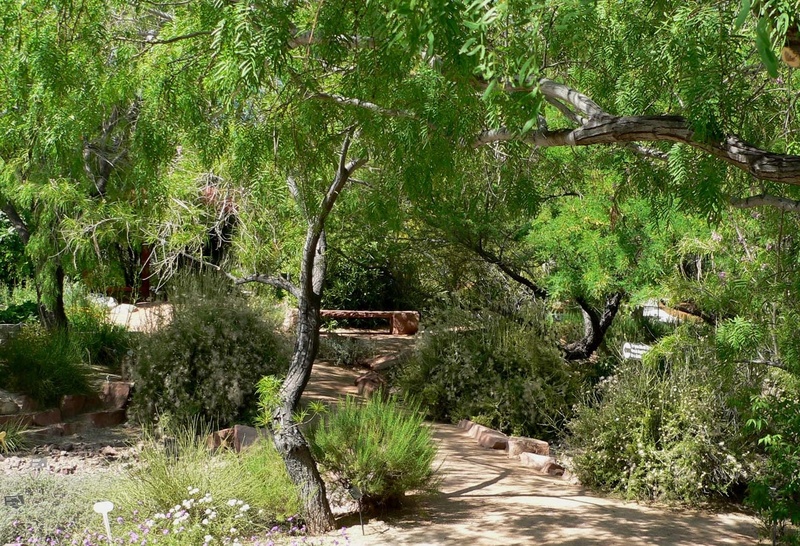 Sustainable Living Tucson: Changemakers show us the way. 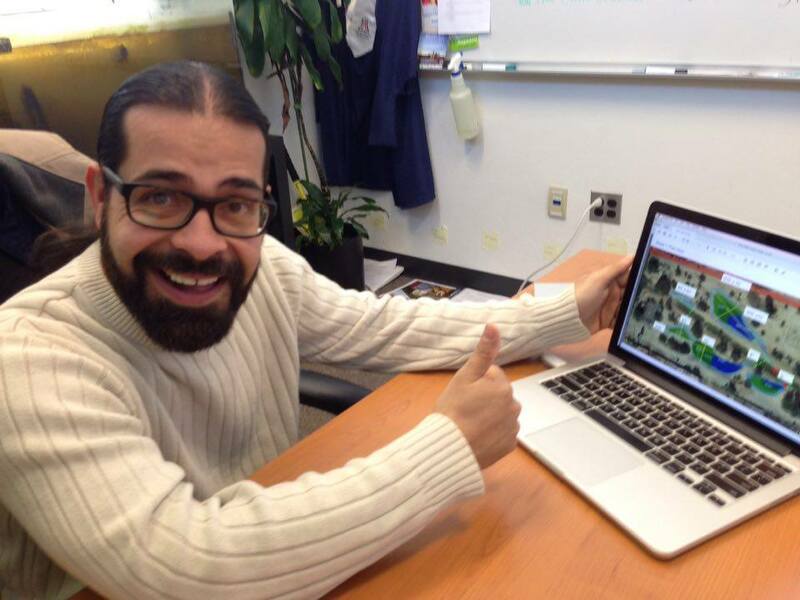 Luis Perales beaming with pride that the Changemaker students' proposal was accepted. When Luis Perales, CEO of Changemaker High School, invited me to meet with him to see how we could help each other, I had no idea what he wanted to talk about. Perhaps a status report on the doc Evan and I were making on water harvesting? It had been awhile since our initial meeting to see how we might include the incredible work Changemaker High was doing in the documentary. After a warm greeting, Luis asked me how I was doing. The great thing is - he really wanted to know. He had seen the frantic posts on my facebook page since Trump announced his intention to remove regulations protecting our water, and he was concerned that I might burn out. And to be honest, I have been stressing out. It seems like every day Trump is making another assault on the environment or human rights. And here Luis was offering support as a fellow sustainability advocate. WMG coop workshop or "Where's Dan?" 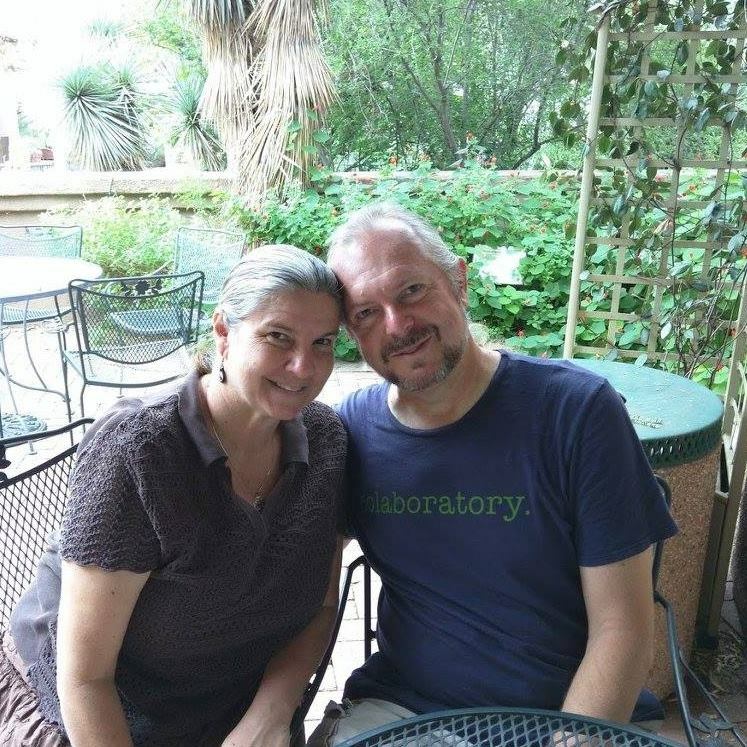 If you’ve read our blog you know how passionate Dan and I are about restoring our aquifer through rainwater harvesting. As more states experience droughts like ours, there will be more competition for the Colorado River water that we all rely on. So it is urgent that we set up water harvesting in as many yards as possible. So, while I’ve blogged about water harvesting, Dan has spent his time digging catchment basins in other people’s yards (along with Watershed Management Group’s fabulous coop), helping maintain the desert landscaping and water harvesting features at Ward 6 and WMG’s Living Lab, giving tours of the Living Lab, and setting up a system to monitor it. While I’m thrilled that Dan has dedicated himself to advancing watershed management, it’s also kinda frustrating. With all of his volunteer work, Dan hasn’t had much time left to install our own water harvesting features. Last weekend he finally got around to planting a little mesquite tree in the front yard. And most people don’t have the expertise to work on their own yards, so they have to rely on a few experts. This creates what Luis calls the bottleneck effect – where you have to wait to get the work done. And, as far as I’m concerned, it isn’t getting done fast enough. So I was really jazzed when Luis shared the plans Changemaker students had developed for restoring the floodplain in the Naylor neighborhood near their High School. They didn’t wait around for the experts to advise them. Students and educators became experts themselves - alongside community members and environmental allies that were willing to share knowledge. How empowering is that?!!! 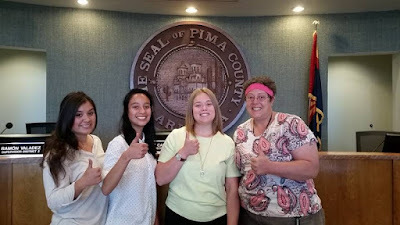 The students presented their proposal to the Pima County Neighborhood Reinvestment Board on May 2, 2016. The recommendation to fully fund the project to the tune of $229,000 was announced on July 1, 2016! They got the final approval on their revised proposal on the day I was there! Needless to say, Luis’ enthusiasm was contagious! While I fumble around trying to get the word out about water harvesting, these kids are demonstrating how important it is. 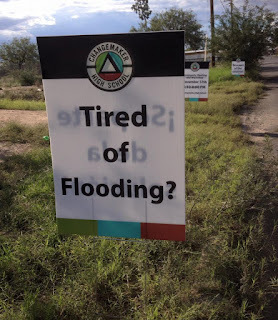 They are educating the city of Tucson about transitioning from the current form of water management - flood control - to one that restores our floodplains and groundwater by directing the rainwater with berms and sinking it in with catchment basins. As their project progresses and succeeds, it will be used as a model for other schools to work with their communities on sustainable solutions. All of this came out of Changemakers’ mission to change the face of education by creating the conditions where young people can turn their ideas into action. Through their example, they hope to create a culture where schools everywhere take on the responsibility of improving their communities. Perales explained, "Imagine what our communities would look like if every school would adopt their local community within a one to three mile radius. Imagine for a second that the school and its resources not only worked within their own gates to teach students to read, write, and do math, but with equal importance, taught students the skills necessary to transform the look, feel, and potential of their community." I am so grateful to the Changemaker students for taking the initiative and advancing more sustainable water management as a practical solution for their community. And for giving me hope for the future. 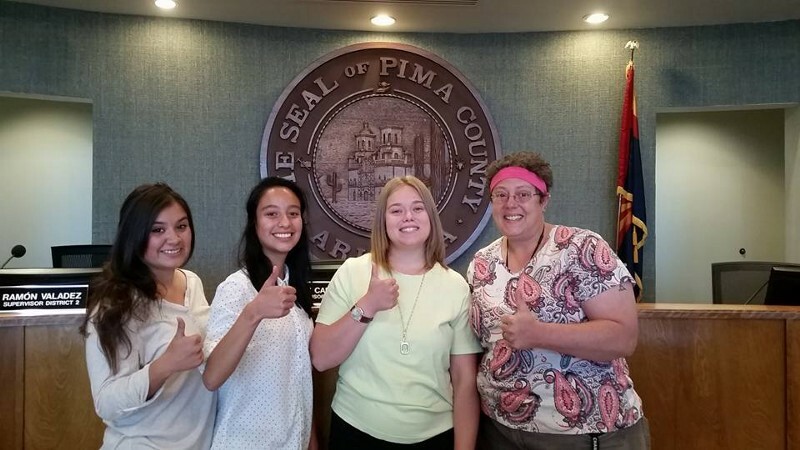 Wanna be inspired by what Tucson teens are doing? Wanna support a community project that will really make a difference in that community? Let's show our support by joining them in their Swan Wash Park restoration work day starting at 7 a.m. on Jan. 13th, 2018. 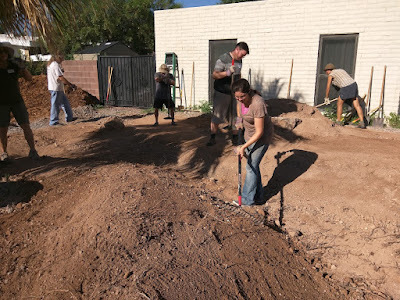 (1600 S. Belvedere Ave.) They will be doing earth and rock work for the newly graded Swan Wash so they can install the native vegetation to bring back habitat.